Aurora Labs, the creators of Self-Healing Software to future-proof automotive software, announced the opening of their German office ahead of their upcoming participation in the Automobil Elektronik Kongress in Ludwigsburg, Germany. The office will serve as the base of operations for Aurora Labs’ expanding operations in Germany and will be run by the new country manager, Mr. Rudolf von Stokar, an industry veteran with more than 19 years of experience in the German automotive industry. Founded in 2016, Aurora Labs offers a self-healing platform for connected vehicle software, with an advanced Predictive Maintenance Solution to future-proof connected and autonomous cars. Aurora Labs’ machine learning algorithms uniquely address all three stages of vehicle maintenance: The platform detects faults in the software behavior and predicts downtime events; To guarantee a seamless user experience, the platform fixes errors in the electronic control unit (ECU) software on the go; And finally, Aurora Labs’ vendor-verified clientless, fastest and most cost effective OTA update solution enables ECU updates with zero downtime and without requiring dual memory. 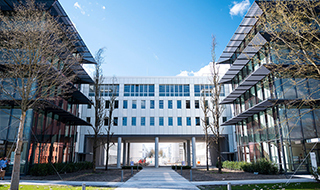 Located in the business campus in Unterschleißheim, on the business campus next to BMW outside of Munich, Aurora Labs will benefit from the optimal conditions on the campus for developing software solutions for connected cars. The campus, which serves as a think-tank and open R&D center for autonomous driving technologies, links developers, start-ups, and executives from the automotive industry.